The Hammer of Dawn is a satellite-based weapon that functions only out in the open and, even then, only when satellites are overhead. 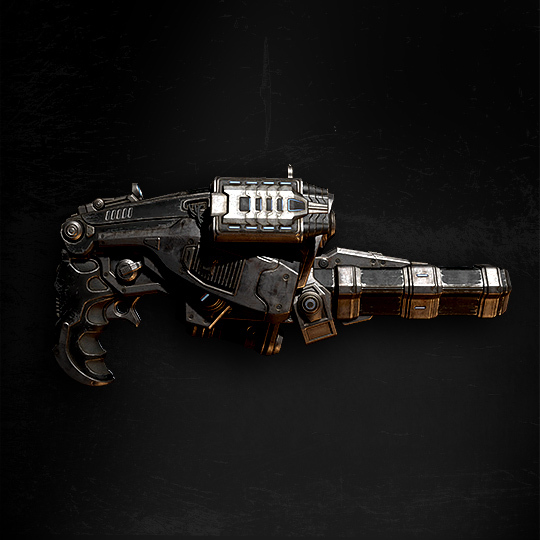 Its use is controversial in the Gears universe because it was used to decimate cities to kill the Locust in 1 A.E., but it also killed millions of people in the process. The Hammer of Dawn calls on the power of an Imulsion-based laser system to rain down destruction. Its energy beam is guidable while being fired so enemies can be tracked as they move, but it cuts off after 5-10 seconds, at which time the targeting system must be reset. This weapon was first introduced in Gears of War 1. In 1 A.E., the Hammer of Dawn was used by the Coalition of Ordered Governments to destroy cities in the hopes of killing the Locust. People were asked to evacuate, but not enough time was given. Many people were killed by the COG's attack. Many of those who survived became the Stranded. They generally hate COGs and Gears because of the Hammer of Dawn attacks.